For the third consecutive year, the Nashville chapter of the Entrepreneurs’ Organization (EO) earned “Rock Star” designation for it 2012-2013 year, and was honored by the global EO organization. This is the fifth time since 2008 that Nashville has been named a Rock Star chapter. Additionally, 90 percent of existing EO Nashville members renewed their memberships this year. Placing Nashville within the top tier of EO, Rock Star status is given to chapters that achieve overall excellence by successfully completing 27 benchmarks in the areas of chapter health, including growth, renewals, learning, communications, forum and finance. The benchmarks are a set of common metrics that the most successful chapters consistently hit when growing vibrant, valuable organizations. In the first quarter of 2013, EO Global also honored EO Nashville as having the most new members in all 122 chapters, ranking Nashville as the fastest growing EO chapter in the world. The Entrepreneurs’ Organization is a global business network of more than 8,700 business owners in 122 chapters and more than 35 countries. Founded in 1987 by a group of young entrepreneurs, EO enables small and large business owners to learn from each other, leading to greater business success and an enriched personal life. The organization’s vision is to build the world’s most influential community of entrepreneurs, which aligns with its mission of supporting entrepreneurial education and engaging entrepreneurs to learn and grow. For more information about EO Nashville, contact Sameera Lowe, executive director, at eo@eonashville.com, or visit our website at www.EONashville.com. Happy Friday! Here’s our weekly wrap up of EO Nashville members in the news. AMC The Pitch announced it will feature Fletcher | Rowley [John Rowley] on its first episode August 15. The Tennessean featured James Fields’ [Concept Technology] bi-weekly column Sunday. 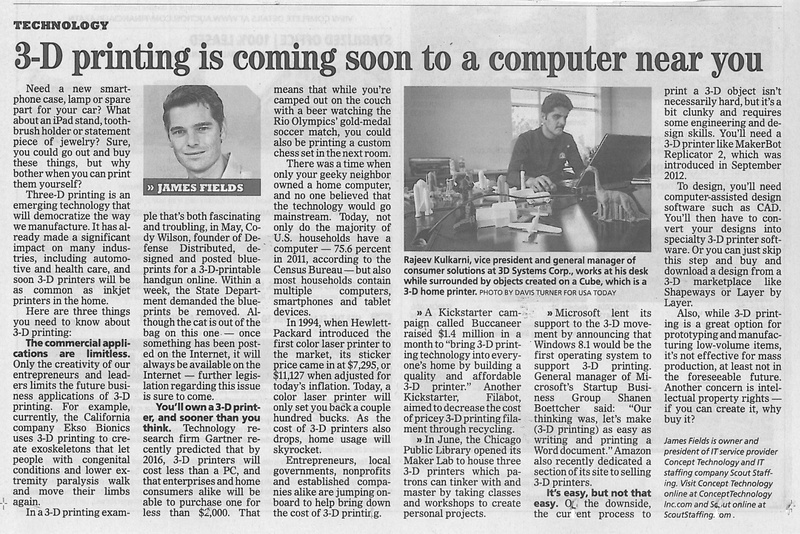 In this week’s column, James discussed 3-D printing. 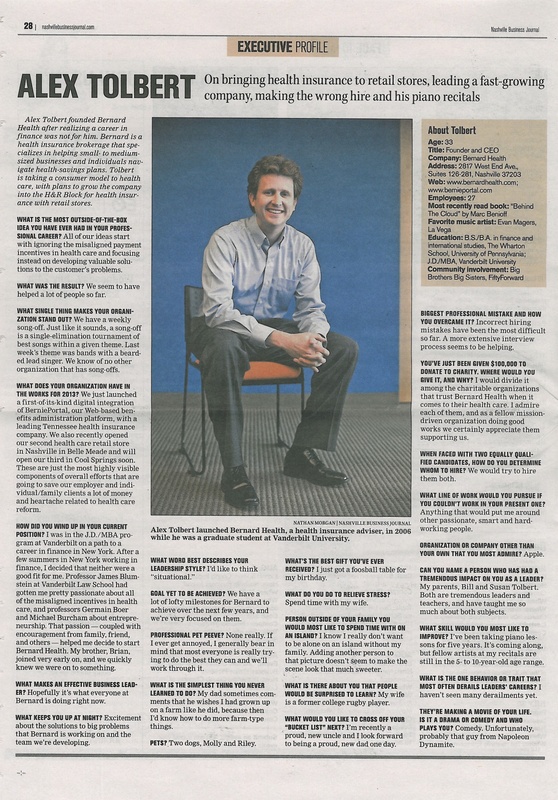 The Nashville Business Journal featured Alex Tolbert’s [Bernard Health] executive profile Friday. The Nashville Post mentioned Bernard Health’s new Midtown lease. CAL SAE the Executive featured a column written by Andy Bailey [Petra] in this month’s issue. The Tennessean reported that Legacy Instruction Media [Gabriel Smith] recently purchased the historic Rose-Acuff building that once was home to some of Nashville’s most famous recording companies. Style Blueprint ran a piece about how to host a beer garden party and featured The Filling Station [Will Newman] as a great spot to fill up your growler for a backyard gathering. A look at EO Nashville members’ news and accomplishments for the week. James Fields’ [Concept Technology, Scout Staffing] column in The Tennessean published Sunday. 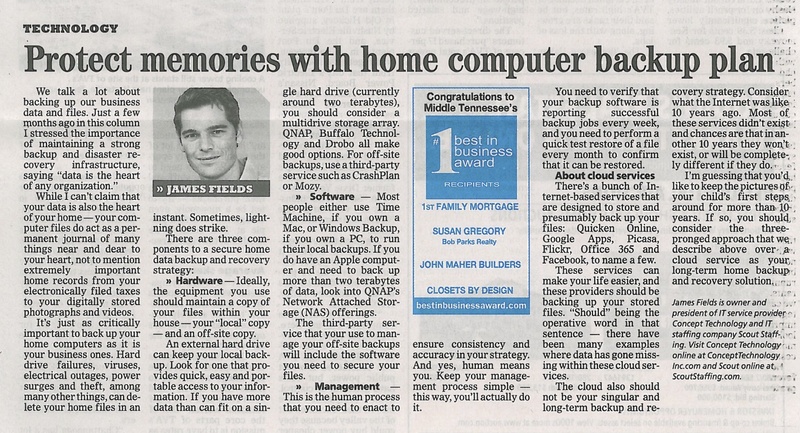 In his column, James discussed how to backup your home computer to preserve important records. 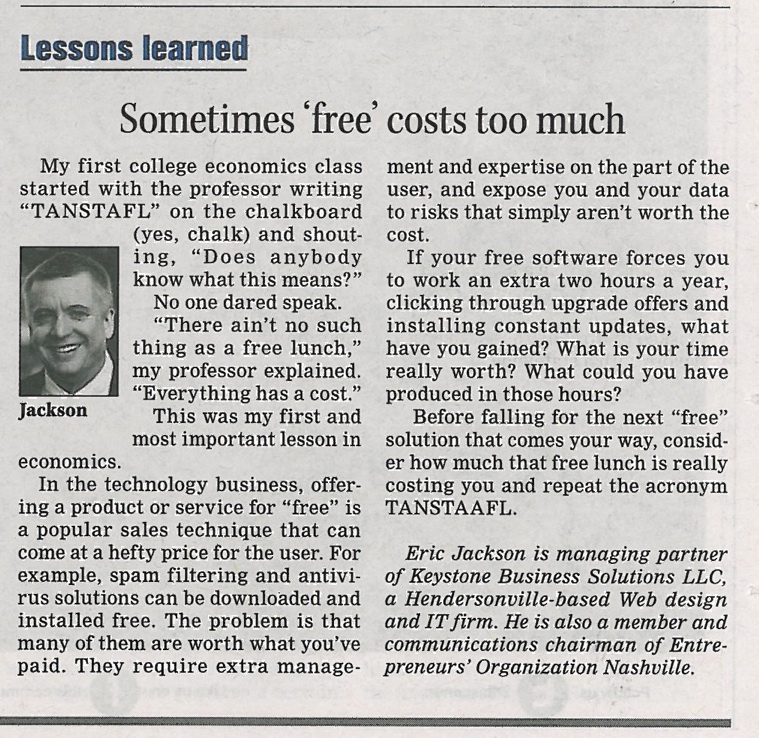 Eric Jackson’s [Keystone Business Solutions] guest column appeared in the Nashville Business Journal Friday. He discussed the meaning behind acronym TANSTAAFL. The Caribbean Journal named Corsair’s Spiced Rum one of the 10 best American rum’s. The Daily Meal also named Corsair one of the 25 top craft distillery tours in the US. 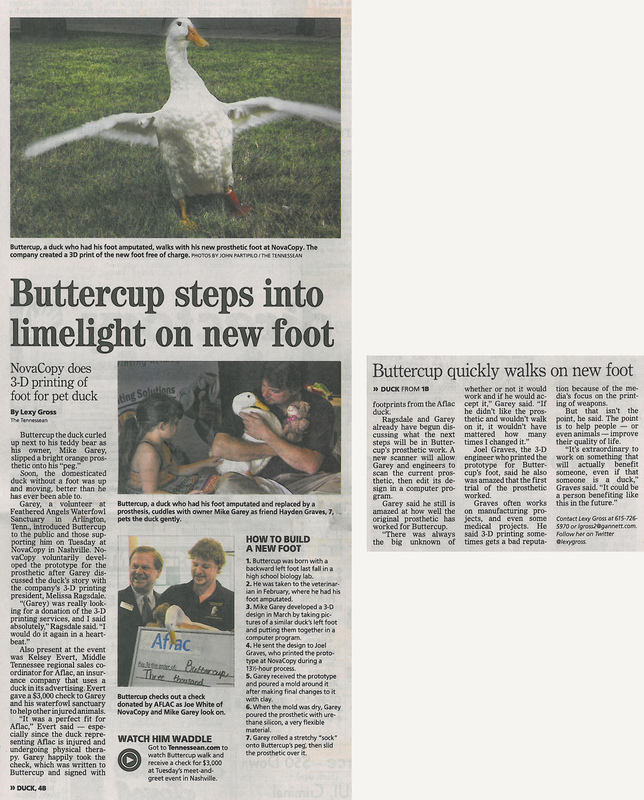 USA Today and BBC featured NovaCopy‘s [Darren Metz] work on the 3D prosthetic foot for duck Buttercup. News shows Fox and Friends, CNN and NBC’s The Today Show also mentioned the story. Southern Alpha featured a Q&A with Dan Hogan [Medalogix] Tuesday. The Tennessean featured Andy Bailey’s [Petra] column this morning. 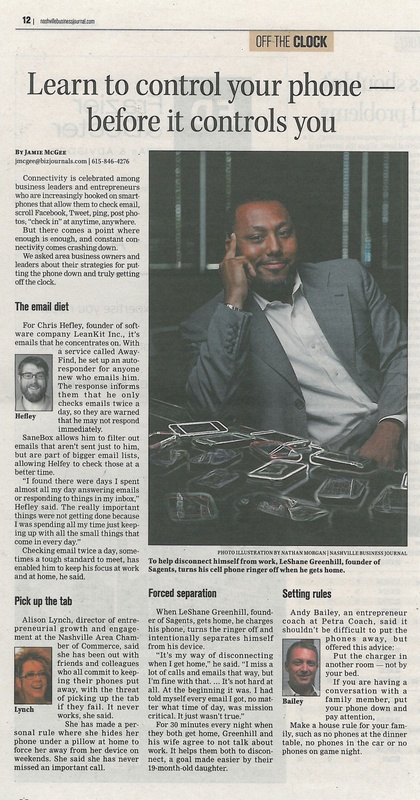 In the article, Andy talked about how a cell phone can be more of a distraction than a tool. It’s time for the EO Nashville round-up. This week’s post covers news from the past two weeks. 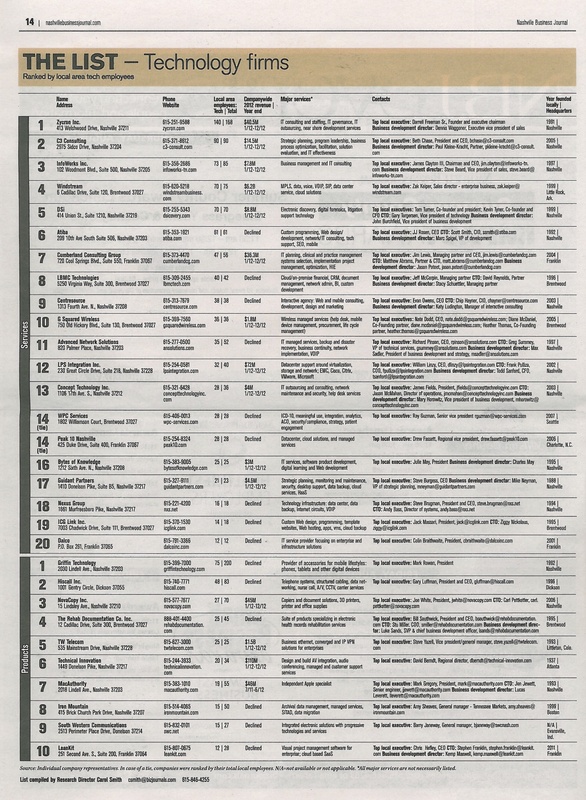 Andy Bailey [Petra Coach] was featured in Small Biz Daily twice recently. His guest blog, “4 Steps to Building an Executable Business Plan” published June 19. Another of Andy’s guest blogs, “Learning When to Say No in Business” appeared July 1. 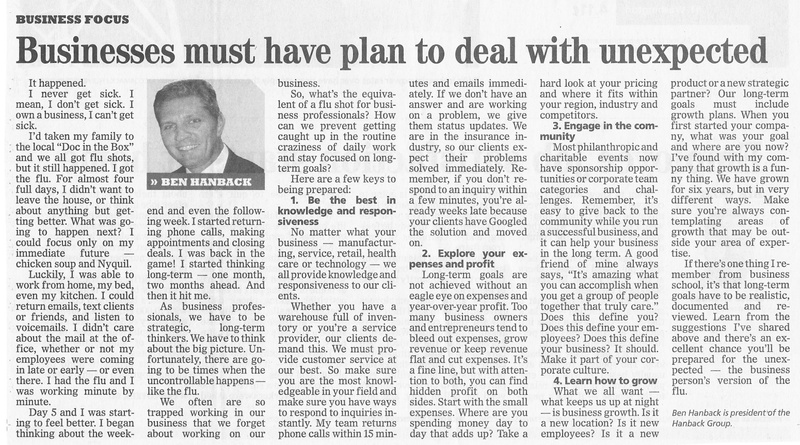 Andy’s regular column for The Tennessean published last week. His column discussed the importance of work-life balance. Congratulations to Eric Jackson [Keystone Business Solutions] who was named a Sumner County Impact Awards winner by the Nashville Business Journal. 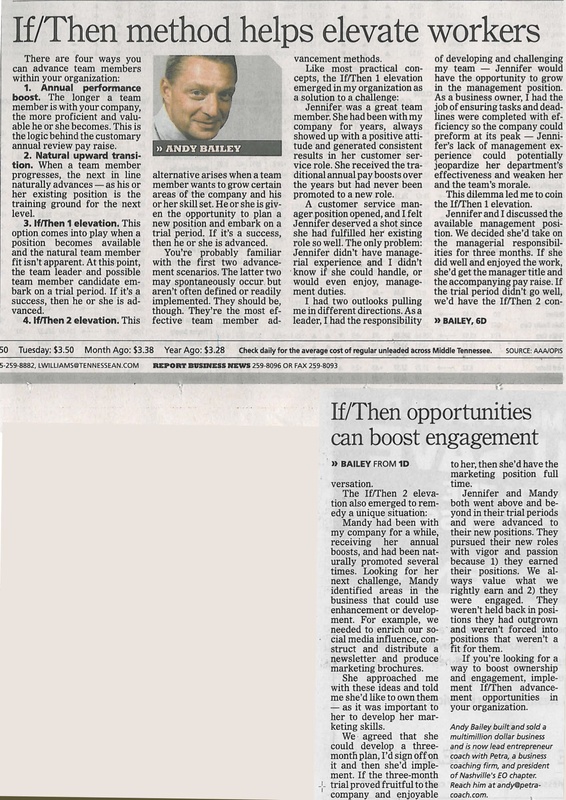 James Fields’ [Concept Technology Inc./Scout Staffing] bi-weekly column in The Tennessean published Sunday June 23. In his column, James discussed why HR and corporate culture are important factors in tech hiring. 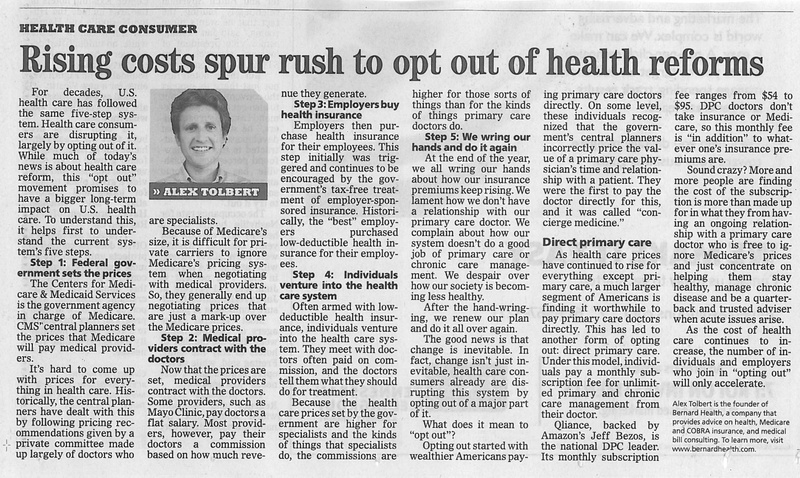 Alex Tolbert’s [Bernard Health] regular column in The Tennessean appeared in Sunday’s paper. 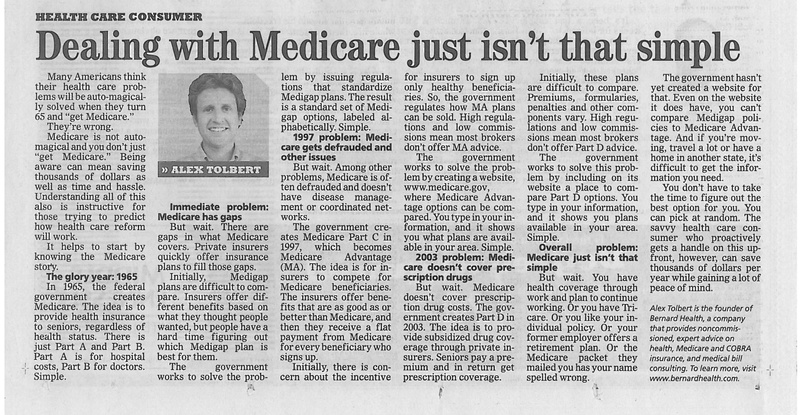 In his column, Alex discussed the problems with Medicare. 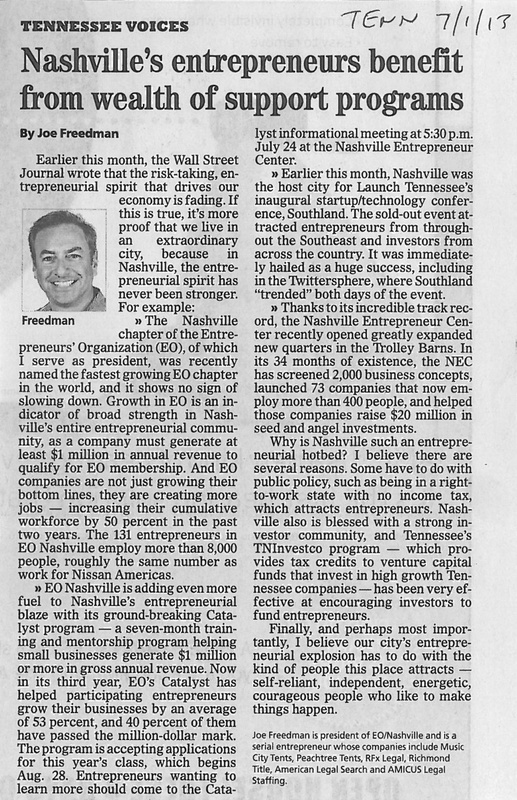 Joe Freedman [Music City Tents] recently wrote an article for The Tennessean on how Nashville’s entrepreneurs benefit from wealth of support programs such as EO Nashville, Launch Tennessee’s inaugural startup/technology conference, Southland, and Nashville’s Entrepreneur Center. Chris Corby’s [School Facility Management] guest column on creating a culture of stability published in last week’s Nashville Business Journal. 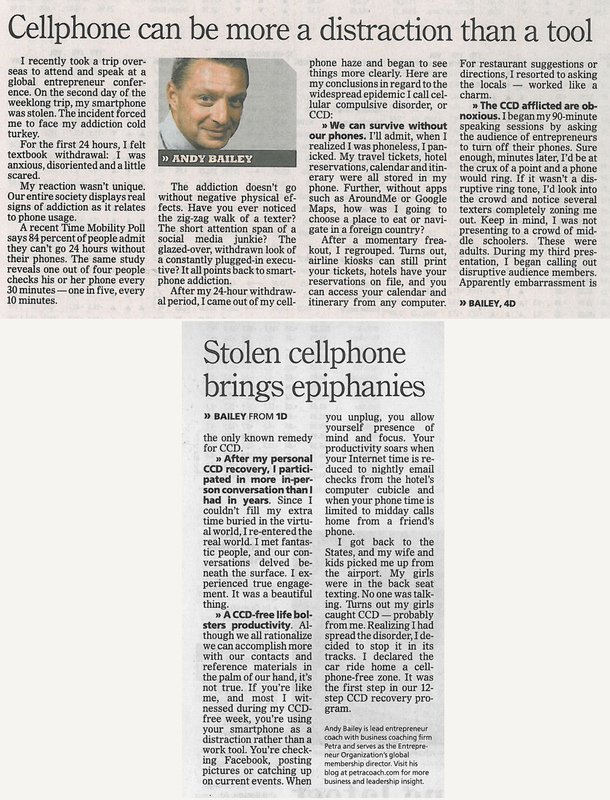 His column was the third in a new partnership between EO Nashville and the Nashville Business Journal. Corsair Distillery [Darek Bell] was mentioned by The Daily Meal as one of five American single malts to check out. NovaCopy [Darren Metz] appeared in The Tennessean twice this week for their volunteer work on creating the 3D prototype of a prosthetic foot for an injured duck. You can view the Tennessean articles here and here. 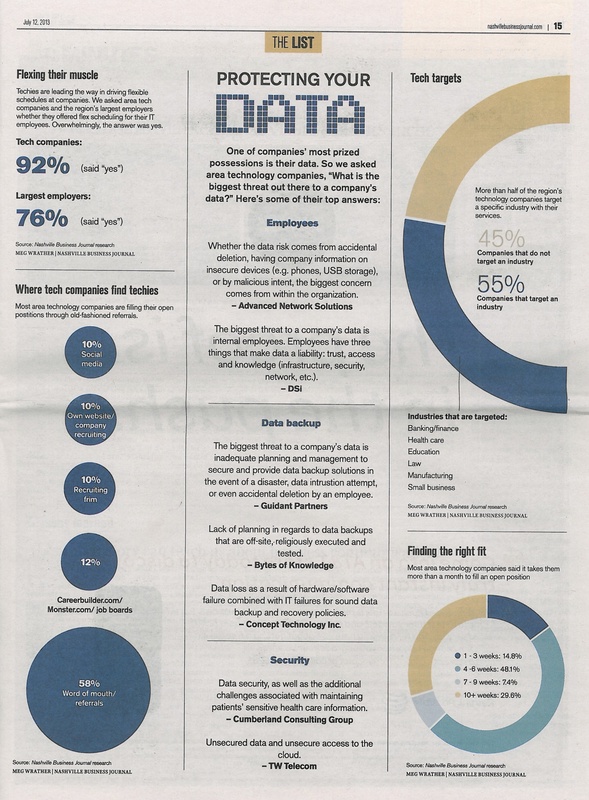 Congratulations to NovaCopy whose Jason Levkulich was named one of the Nashville Business Journal Chief Marketing Officer Award winners in the small private company category.